OTI Holding ranked 1st among 20 group companies in the list as the group having the highest share abroad within total endorsement of 2013.Supported by Russian Federal Agency and other organizations contributing to the development of the travel industry in Russia, Intour Market Moscow exhibition was held at Crocus Expo International Exhibition Center between 14 and 17 March. 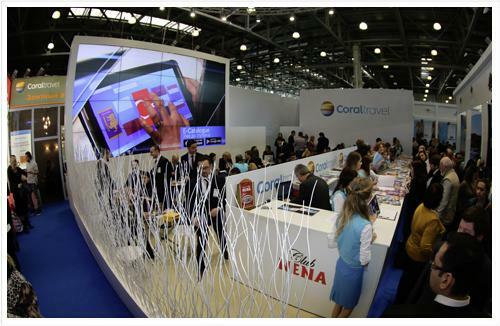 The leader of Russian Market, Coral Travel attended the exhibition with a giant booth of 600 square meters and managed to attract the attention of professionals and consumers of the sector. 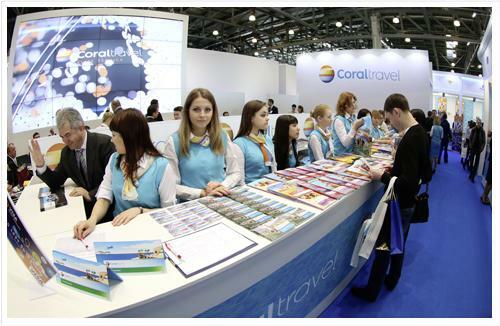 Sochi, Anapa, Gelendzhik, sanatorium treatment, various tours and river trips came into prominence in the booth of Coral Travel where promotion activities for domestic market were carried out for the first time this year. 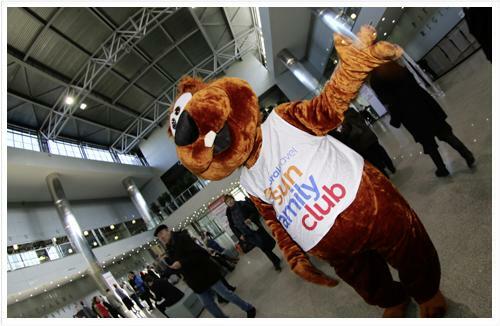 In addition, the special product of Coral Travel, Sun Family Club family holiday concept and the hotels where this concept is applied were promoted. Incorporated under the roof of OTI Holding and providing service in international standards, Otium Hotels International attended the exhibition with its assertive brands in family holiday such as Otium Eco Club Side (5*), Otium Hotel Seven Seas (5*), Otium Hotel Life (5*) and Otium Gül Beach Resort (4*) as well as its hotel in Turkey, Xanadu Resort Belek. Additionally, with this exhibition, Otium Hotels International launched three new hotels which are located in Sharm El Sheikh, Egypt and were incorporated under OTIUM to provide service as of 2015 season for the first time.